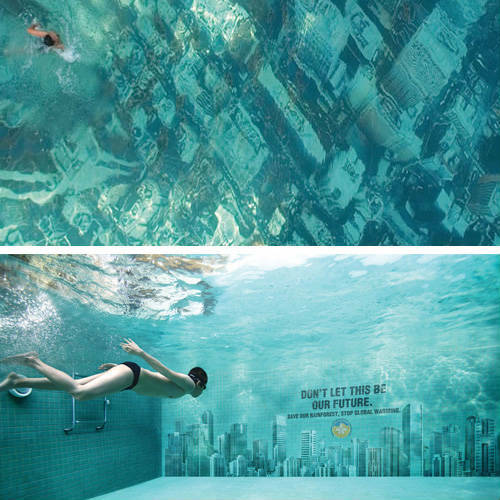 HSBC on climate change ( What we believe from core) , A stunning view of the swimming pool in Mumbai (Bhakti Park, Wadala). The eye-catching swimming pool in Mumbai, India, has been built to raise awareness about the threat of sea level rises as a result of global warming. 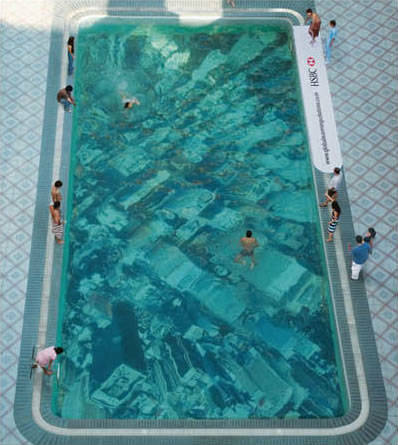 It was constructed by attaching a giant aerial photograph of the New York City skyline to the floor of the pool.The idea was conceived by advertising agency Ogilvy & Mather, who were commissioned by banking giant HSBC to promote its £50million project tackling climate change. The Ogilvy team came up with an innovative way to show the adverse impact of global climate change. 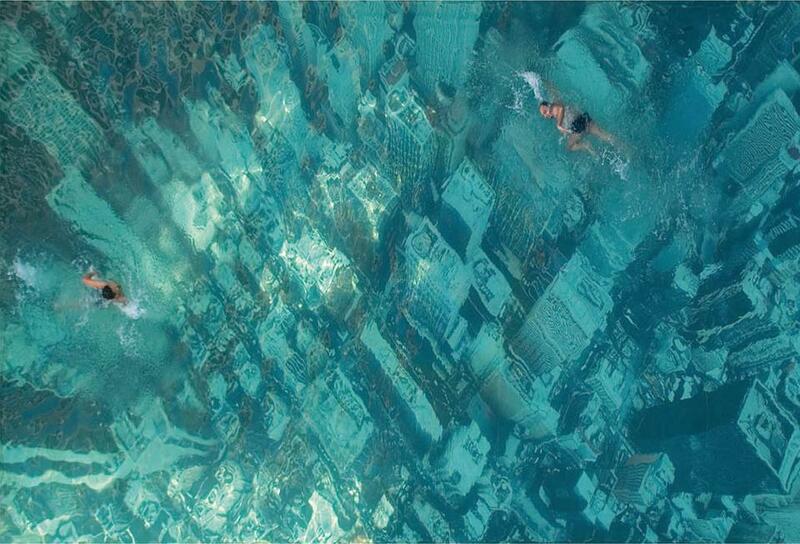 They glued an aerial view of a city to the base of a swimming pool.When the pool was filled with water, it gave a shocking effect akin to a city submerged in water. The visual of a sunken city shocked swimmers and onlookers, driving home the impact of global warming, and how it could destroy our world someday. HSBC wanted to convey the message in a unique visual way that would grab people's attention and couldn't be ignored , obviously in such a situation Ogilvy team cannot be ignored, they did justice to the message. Interesting and innovative stuff by HSBC.